An insurance magnate has been told by the High Court to pay his ex-wife £48m in what is thought to be the biggest divorce award in British legal history. 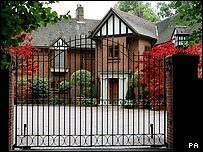 John Charman, 53, had offered Beverley, 52, their home in Sevenoaks, Kent, and £6m after their marriage ended in 2003. On Thursday, he said he would appeal against the ruling which was made in private last week in the Family Division of the High Court. The sum awarded to Mrs Charman includes £8m in assets already in her name. A statement issued by Mr Charman and his solicitors said the award was "unfair and unreasonable". He said he had made an offer to his wife of £20m, which would be "impossible for any reasonable person to spend in their lifetime". The couple, who have two children, were married in 1976 when neither had significant resources. Mr Charman went on to have a successful career and build up considerable wealth in the insurance market in the City of London. His statement said Mr Justice Coleridge accepted Mr Charman's exceptional contribution to the marriage. Mr Charman had set up the Dragon Trust in Bermuda in 1987 which had assets worth £68m. He set up Axis, a global insurance and reinsurance company based in Bermuda, after the 9/11 attacks in New York. But in early 2003, he moved permanently to Bermuda and separated from his wife who remained in England. She issued a petition for divorce in June 2004, which included an application for financial settlement, known as ancillary relief. In 2005, Mr Justice Coleridge had refused Mr Charman's application for a stay of his wife's petition. Mr Charman had argued his wife should be awarded substantially less than an equal share because of his contribution, and his "importance in the global insurance market". He wanted the Dragon Trust assets left out of account because they were for the long-term benefit of members of his family and he did not have control of those assets. Mr Charman, who was represented by law firm Withers, said: "The judge has ridden roughshod over a decision made nearly 20 years ago during the marriage, to place assets in trust for future generations." Mr Justice Coleridge had found that assets in the case amounted to just over £131m including trust assets. Mrs Charman's award was just under 37% of the whole amount. Commenting on the case, family lawyer Kevin Harris-James, from legal firm Irwin Mitchell, said Mrs Charman "ordinarily should have received half of the available assets". He said he was surprised at Mrs Charman's 37% award and added: "The yardstick of equality remains very much the starting point in terms of division of assets after a long marriage. "There must be something exceptional about Mr Charman's wealth to justify such a significant shift in his favour."